Banff National Park, established in 1885, is Canada's oldest national park. Parks Canada sets guidelines to preserve the natural beauty and ecological history of this region. The Town of Banff is a municipality that lies within Banff National Park and residents and visitors are required to abide by these guidelines. What is unique about living in Banff National Park? Everyone must respect the wildlife, and must NOT feed wildlife. Dogs must always be on leash; even well-behaved dogs run the risk of disturbing wildlife and must be on leash at all times. Or visit the beautiful 1.5-acre off-leash dog park. Leave it for others to enjoy. It's illegal to take anything out of the park, such as a rock, flower, antler or historical artifact. Obey Parks Canada's area closures and restricted activity notices. Areas may be closed for safety or environmental reasons - it's critical to obey them. 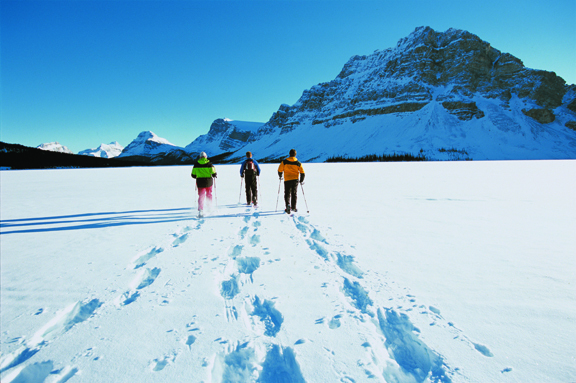 Residents must meet eligibility requirements to live in Banff National Park. Find out more on the Parks Canada website or buy a Park Pass online to avoid delays at the East Gates.